Each Hotel has its history and del Nomade Eco Hotel, has its own. 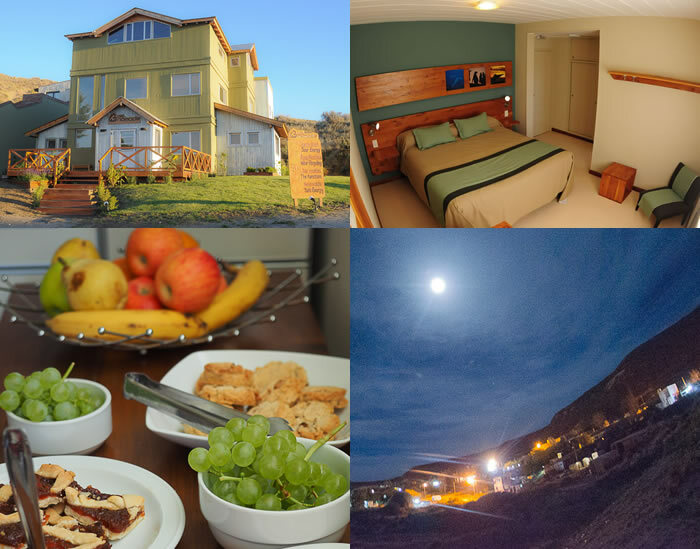 A place to stay with good service and excellent facilities, in Valdes Peninsula, was the result of a personal challenge, which over time became a group project, awarded by its guests and the Hotel Association of Tourism from Argentina. 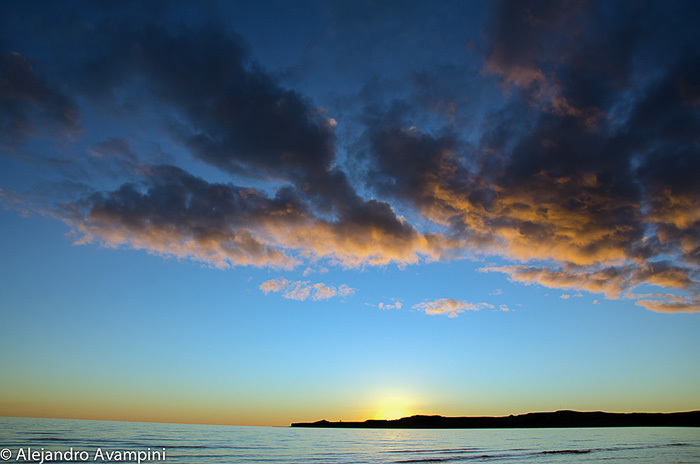 My name is Alejandro Avampini and I have been a nature photographer for the last 25 years, providing me with an excuse to travel and contemplate our infinite world and portray, through my images, some of its beautiful manifestations. After several years living in Puerto Piramides and feeling myself an integral part of this town, I decided to create a hotel for friends of the earth. My primary motivation for the creation of Del Nomade Eco-Hotel was to receive those that come to the Valdes Peninsula with a certain level of consciousness, respect for the planet and an adventurous spirit. As you continue reading our biography, I invite you to ensure a room in our Eco Hotel, to experience in person this paradise. Just visiting this links Reservation On Line, you can see, availability, prices and services. Del Nomade Eco – Hotel is oriented towards a small number of guests, allowing for personalized service and dedication to each individual visitor. This detailed attention offers an added value that we consider indispensable. Ever since the inauguration, our task of individual attention remains in the hands of people who are educated, well informed and interested in the nature reserve. 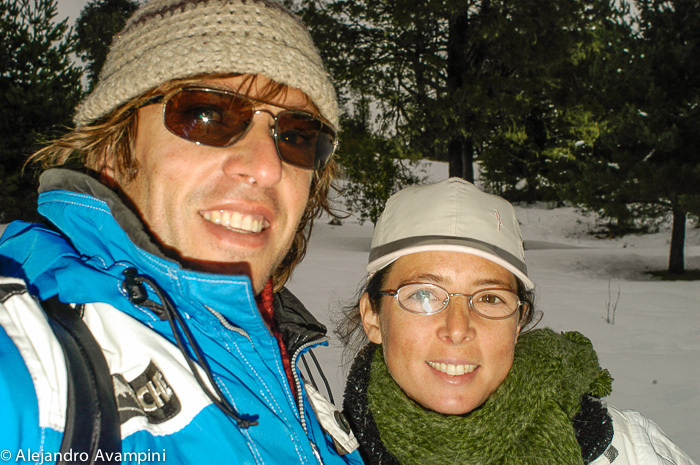 All of the visitors that pass through ¨Del Nomade¨ take with them, aside from their memories of this Patagonian Paradise, the warm attention and camaraderie of the Eco-Hotel´s two main hosts, Laura and Lala. 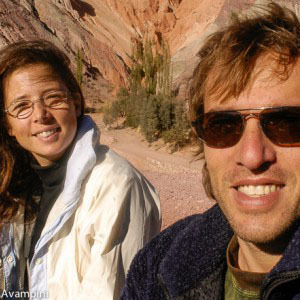 Laura Brandt comes from the town of Tandil, in the province of Bs.As., and is licensed in Tourism. Laura had spent enough time in Puerto Piramides to have fallen in love with its natural wonders well before ¨Del Nomade¨ existed. ¨Laurita¨ has accompanied us since before inauguration, from the time of construction, and knows ¨Del Nomade¨ better than anyone. 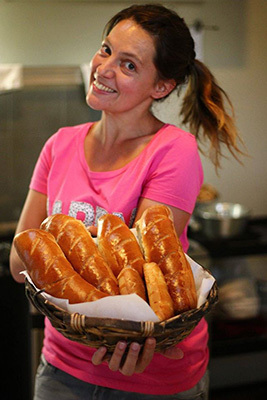 She is a specialist in the organization, very attentive to details and is a near expert in healthy cooking, an aspect which she eagerly transfers to the healthy and homemade breakfasts prepared each morning for the guests, together with the help of Lala. Lala Sanchez the working team at Del Nomade Eco-Hotel is complemented by the presence of Lala Sanchez, who has been with us from the beginning as well. Lala is also licensed in Tourism and comes from the red soil of Misiones, in the north of Argentina. Lala´s stronghold is the kitchen combined with her infinite predisposition for making each guest feel at home. 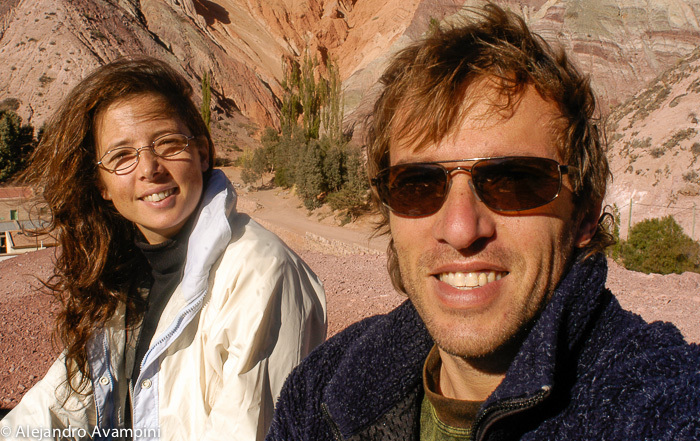 Together with Laura, these two run the Eco Hotel and energetically transmit the spirit of consciousness that inspired the development of the first eco friendly hotel in Argentina. We invite you to visit Puerto Piramides, Del Nomade Eco – Hotel and our philosophy and commitment that is offered in abundance by these two great hosts. 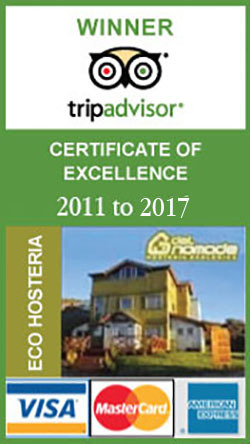 Ever since our inauguration in December of 2008, we offer at Del Nomade a comfortable and conscious refuge for adventurers. Coinciding with this tiny town, lost along the coast of the Patagonian Steppe and included in the U.N. World Natural Heritage site, we have created Del Nomade with a different and innovative vision, with only 8 rooms and an apartment. 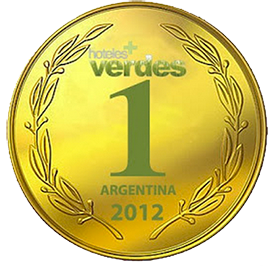 Applying ecologically friendly concepts in the reduction of energy consumption and increased social responsibility, we have received the first ever award as the Greenest Hotel in Argentina. As well, for the fourth consecutive year, we have been bestowed with the award of ¨Service Excelence¨ by TripAdvisor. These are the two highest awards to which we aspire. When, together with my wife Cecilia, we decided to carry out this project, that we have had in the back of our minds for many years, building a hotel in Puerto Piramides, we made the commitment to do it properly. On one hand we had to keep in mind the creation of a new concept, keeping in mind the amazing natural beauty that surrounds us, while offering service in concordance to our ideal of respect for nature. Our goal is to be attentive to the needs and desires of those of you who will travel thousands of kilometers in order to experience, first hand, the wonders of the Valdes Peninsula with our hotel as your base. During the year and a half of construction we spent long hours interviewing in an effort to find personnel who meet our vision and expectations. We needed two people licensed in tourism, bilingual and with a level of professionalism adequate for the attention and service to which we aspire at Del Nomade. This is how we found Laura and Lala, both having assimilated to this Project as if it was their own, applying their knowledge and warmth with genuine quality. These two have been with us during the entire process of growth, from the uncertain times before our inauguration and through all the initial adjustments. With the passing of the seasons our learning curve has increased and so have their responsibilities, to the point where they now administrate all aspects of the hotel. In 2011 we offered them the option of complete administration and it was eagerly accepted. 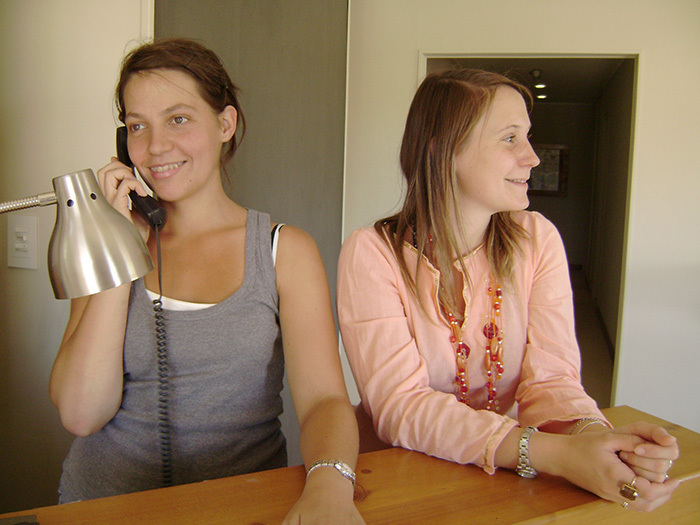 Now Laura and Lala not only interact daily with visitors but also manage all other aspects of the hotel, with a conscious effort toward continued improvement in standards of attention and service. 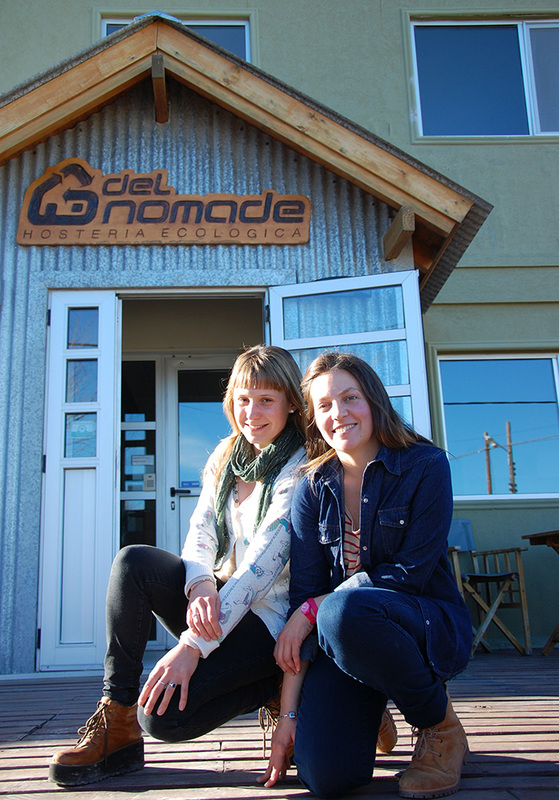 Handing the control of Del Nomade Eco – Hotel to Laura and Lala was a decision well made. Del Nomade Eco-Hotel is the result of a long quest of internal exploration that brought me to Puerto Piramides. I would like to think that sharing my story, a journey that led me to the center of a dream, will leave its mark on the path to discovery and the return to nature that we, as humans, are trying to attain. Meeting the whales on their terms and observing them in perfect unification with the sea, changed my life and I hope that the same will happen to any and all that live this experience. It seems evident that most animals share a common knowledge, an understanding that we have lost, dedicating ourselves more to progress than evolution, coherency. The ingenious wisdom of not altering the environment, not even out of curiosity, proves them an integral part of this harmonious existence. 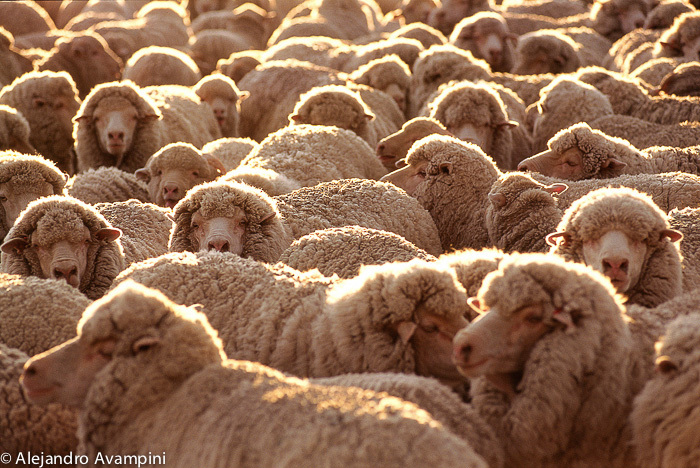 It is an envious adaptation, the coherent relationship of ¨Wildlife¨ with the planet. My first encounter with the Valdes Peninsula came at the end of spring, 1993, when I packed all that I could in my car, pointed south and headed for Puerto Madryn. Several months earlier, by pure chance, a photograph caught my eye that changed my destiny. While observing the display window of a shoe store in my home town of Moron, a poster by the famous photographer Bob Talbot, used to decorate the walls of the store, woke my interest and changed my life. One simple photograph blew my mind and provided me with the path that I am still walking today. 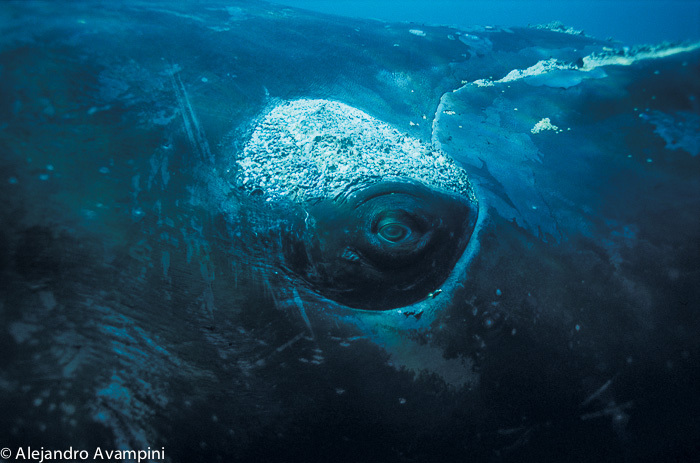 The not so common breach of the Humpback Whale hypnotized me. 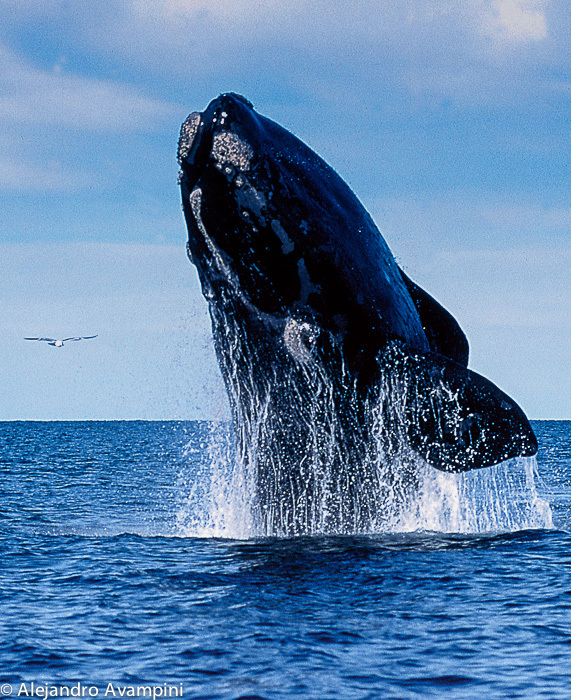 A majestic animal, weighing over 30 tons, floating in the air like a feather, eternalized in a photograph. This image, full of detail and sensations, captured my attention for I can´t remember how long. It was just a poster on a wall seen through the window from the curb, but I was petrified. As I stood in awe others changed their course to walk around me, the noise of traffic, trains and street venders, together with the world around me, disappeared. I was in shock, seeing much more than just a photograph, I had discovered my own reason for being and I was conscious of the fact. It filled me with hope. Right before my eyes my purpose had appeared. All previous resentment and dissatisfaction before this magical moment was transformed into an immeasurable happiness. Unconsciously the weight of my past was lifted and I awoke from this state of ecstasy with a new attitude. I felt an amazing clarity of thought, energy, liberty and desire for life. My pace was quickened as I continued with what I was doing, with the knowledge the I was no longer the same person. 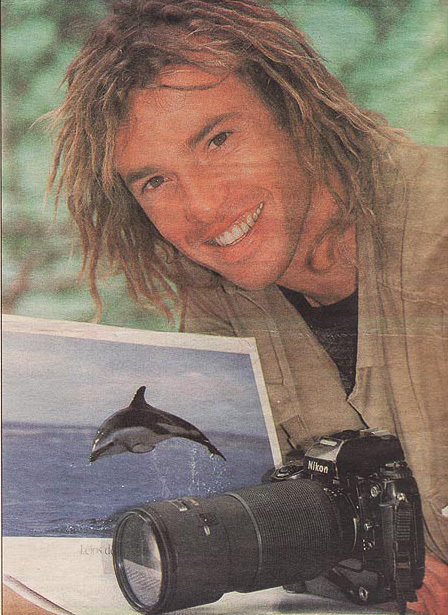 The conclusion that I had reached was this; if Bob Talbot captured this image it was because he had dedicated years of his life capturing photographs, on the sea, looking for whales. No one captures an image like this by pure chance! A life dedicated to the discovery and capture of these special moments to be shared later with the rest of humanity and to make a living doing this, seemed like an attainable dream, pure and full of adventure. It was here that I asked myself, what am I doing in this monotonous, suffocating daily routine? Aside from working as a free lance photographer for adventure magazines, I worked with my family and felt as if I was bouncing around the walls looking for the exit. It was here, with new direction that I began to reorganize my values. I accommodated my things, both emotionally and physically and left the city to purge myself of the toxic life that had been obscuring my thoughts. I felt out of context and made the conscious decision to begin a new life, leaving behind all the old prejudices and family expectations of who I was supposed to be. 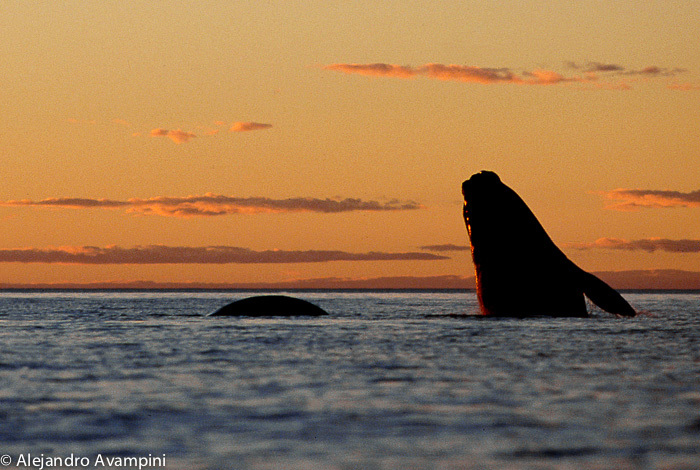 At the time of my revelation most Argentines were not aware that a place as amazing as the Valdes Peninsula existed, and the presence of the whales was no news. I knew something about the area due to some minor investigation made in preparation for an article in a local ecological magazine. I thought it fantastic that whales existed in my country. In theory it was the perfect equation, I would find myself while moving closer to nature. I knew nobody in Puerto Madryn, but that is where I moved. 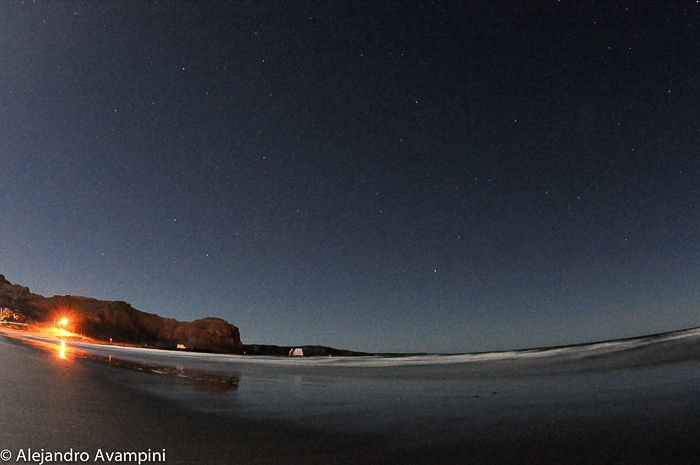 The passing of time in this new environment allowed me to discover the magnetic north in my compass of life. I worked for a few years in a scuba school, filling tanks and making dives while studying this discipline and learning underwater photography. This was a great time of learning, supporting my new vision with new habits, closing the door on what had been my urban existence. Day after day I would spend sunrise and sunset on the beach, adding hours to my new personal history until it was converted into a new reality, a new live, in tune with my ideals. I worked a couple of seasons as a deck hand in whale watching tours as a way of spending more time on the ocean with these animals. I lived in Puerto Madryn but after a short time I installed myself in Puerto Piramides. At the time I moved to Piramides there were just 150 inhabitants and I discovered an amazing place. It was a town right out of the movies, a place where each day presented unforgettable options for the fusion of nature and adventure. In 1998, when I was about to publish my first posters and calendar with my photographs, I took a step back to analyze the last few years in this new reality and I saw myself happy. I had found purpose of being and this allowed me to come to peace with my past. I had found a place that filled me like no other on the planet. I arrived at and accepted the title of nature, wildlife and adventure photographer in the Valdes Peninsula, a place that changed my existence and that, in these few lines, I have tried to resume. Wherever I go and wherever I am the nature, wildlife and human warmth that I have received from Puerto Piramides and Puerto Madryn accompanies me with care and wisdom. For this I give thanks! To challenge the rule of destiny was a fight that I had to face with my past. With little more than a change in perspective, in favor of my heart, the old rule was broken. Accommodating my personal life in the same way offered me a coherent daily existence. The possibilities in life are infinite, but through this exploration I have been able to find a path with heart, the best thing that could have happened to me, and it is this path that led me here. Several years later I met Cecilia. With her own baggage and search she had arrived at Piramides to experience nature and to work as a deck hand on whale and dolphin tours. Wildlife brought us together and our personal quests, united over the last 12 years, have carried us far from the Peninsula and, at times, caused us to put on hold the project of Del Nomade Eco – Hotel. An invitation to photograph wildlife in Puerto Rico opened the door to other paradises. We had both already learned that dreams must be pursued, so we accepted the invitations to see other horizons and at times have delayed our return. We spent several years capturing images and making documentary short films through the invitations of different ecological foundations and hotels in several countries around Latin America and the Caribbean. Manatees, Humpback Whales, White Turtles and many different exotic fish have been our companions over the years. All of this time and life experience provided precise moments of sensation and thought, allowing for, thousands of miles away, a healthy process of maturity for a project never before achieved in Argentina. While identifying ourselves as wildlife filmmakers living abroad, creating www.2nomades.com.ar, our concepts and details around Del Nomade Eco-Hotel were nourished, gaining momentum and direction. Returning to Puerto Piramides 7 years later and after the construction plans for Del Nomade – Eco – Hotel were approved by the municipal government, we dedicated our time and effort to the materialization of this project. The completion of this project converted itself into the biggest learning process of sustainability that we have had up to this point. The particulars around building an eco-friendly hotel inside of a Nature Reserve and U.N. World Heritage Site caused our own requirements and goals to transform into true commitment. Our long term goals have obligated us to apply ideas and technology that, up to this point, have been almost too innovative for the region, causing us to study down to the last detail the production of solar energy, water treatment and recycling, illumination with LEDs along with the development of many other sustainable concepts. Aside from reading, studying and understanding we have had the fortunate and indispensable presence of professional support in each and every aspect of this modern construction. The concept of trial and error has been applied more than once and it is this same method that initiated our understanding of sustainability. This road points towards the consciousness of the delicate nature of life and the concept that doing things well creates well being.